Independent retailers can now enjoy the benefits of real-time web reporting for analytics and insights for their single store. Fast, secure, intelligent and up-to-the-minute information can be accessed using any web browser. The WebPoint homepage is your one stop place for critical information related to your business. 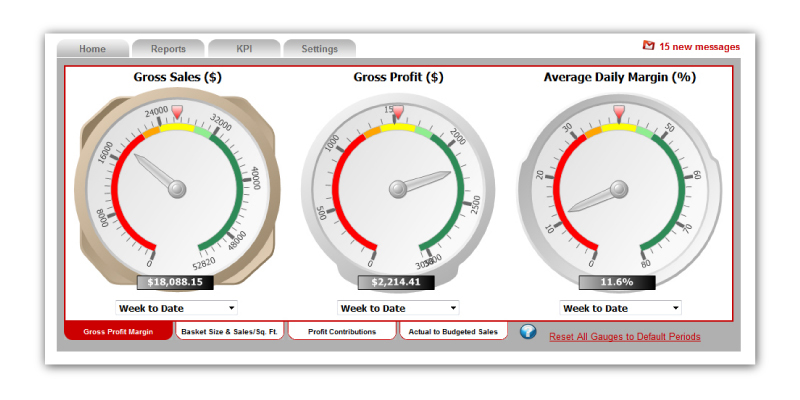 Gross sales, profit and average margin gauges are updated in near real-time from the point of sale. Quickly view your top and bottom selling items and compare actual to budgeted sales. WebPoint offers fast and easy to use reporting to make better business decisions. Identify trends with the sales trend analysis report or map out customer sales to determine where to send your next flyer. 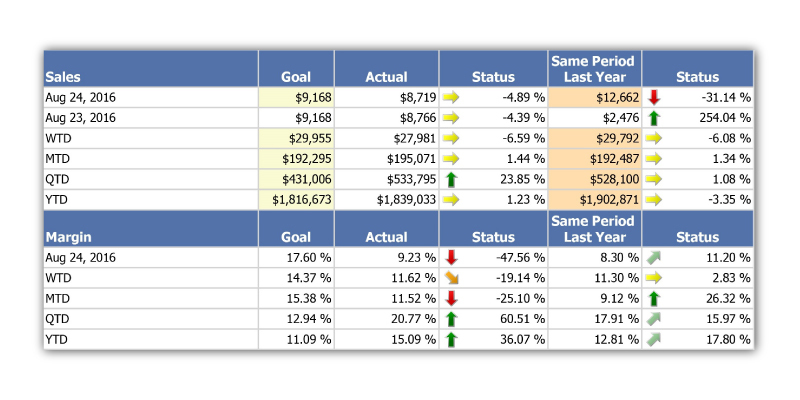 Select from a variety of reports or design and save your own custom reports. The intuitive design makes it simple to setup and get started right away. 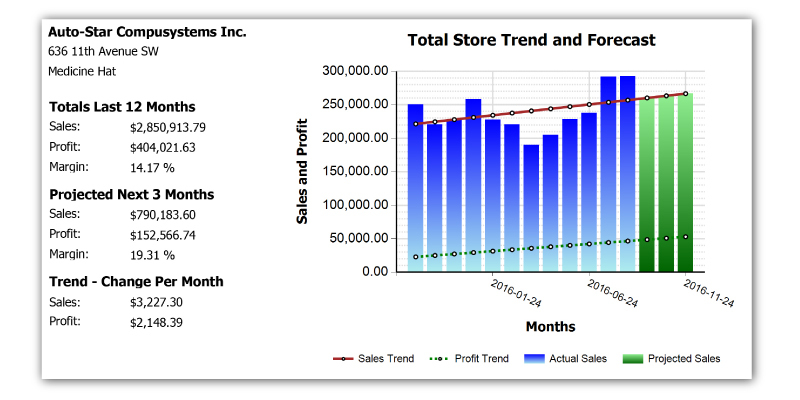 Set goals specific to your store and easily track key performance indicators.